Canada played a pivotal role on the world stage last month. Unfortunately, it was a destructive role that earned Canada worldwide condemnation. At the conference of the UN Rotterdam Convention in Geneva in June, Canada single-handedly prevented chrysotile asbestos from being put on the Convention’s list of hazardous substances. The purpose of the Convention is to promote responsible trade in hazardous chemicals and pesticides. It does not ban trade but simply requires that “prior informed consent” be obtained before exporting any substance on its list. The Convention was specifically created to promote environmental justice, by giving countries in the global South a practical and effective tool to make informed decisions and to control their borders. Hazardous industries are increasingly marketing their products to developing countries, without disclosing their health and environmental risks. The Rotterdam Convention counteracts the self-serving propaganda of these industries – it requires that critical independent information be provided and empowers developing countries with the right to refuse hazardous substances that, in their judgment, they cannot manage safely. The Convention’s expert scientific body (the Chemical Review Committee), composed of 32 scientists from around the world, including a scientist from Health Canada nominated by the Canadian government has repeatedly called for chrysotile asbestos to be put on the Convention’s list of hazardous substances. It should be noted that chrysotile asbestos is the only form of asbestos that has been traded in the world for more than twenty years and represents 95% of all the asbestos sold for the past century. The global asbestos industry has happily allowed other non-traded forms of asbestos to be put on the Convention’s list. But they have put up a brutal fight for the past seven years to prevent chrysotile asbestos from being put on the list. In this way, uncontrolled sale of asbestos, without even minimal safety controls, continues unabated in the world. 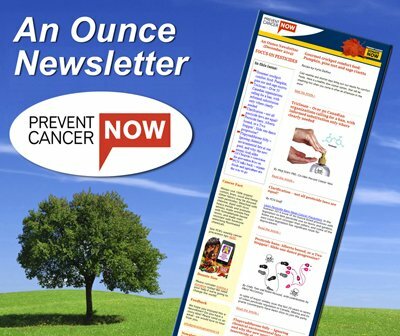 Thus profits are protected, but public health is not. The Harper government refused to tell Canadians what position Canada would take at the June UN Conference with regard to listing chrysotile asbestos. This is surely a new low in Canada for utter absence of transparency and utter absence of democracy. Canada, in fact, stayed silent at the Conference for the first days until it seemed that the tiny handful of countries that had earlier expressed opposition were now ready to support the listing. At that critical moment, Canada broke its silence and expressed refusal to allow chrysotile asbestos to be put on the list. The head of the Canadian delegation, said that Canada agrees with the recommendation of the Scientific Review Committee, agrees that chrysotile asbestos meets all the Convention’s criteria for listing, but that Canada would adamantly refuse to allow it to be listed. Furthermore, Canada refused to give any reason and refused any discussion of its position. The Convention includes a provision for decisions to be taken by 2/3rds majority, if consensus proves impossible. However, that clause is still bracketed, which means it has not yet been brought into effect. Therefore, as of now, all decisions must be made by consensus. The consensus system of decision-making requires that countries explain their reasons for opposing a particular action and that, in good faith, they endeavour to negotiate a solution acceptable to all. 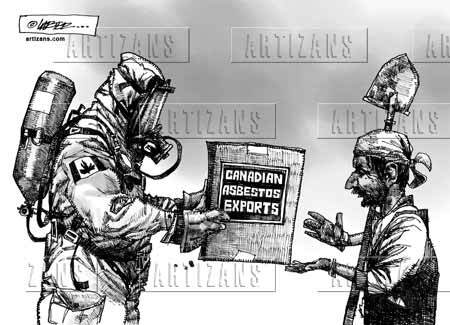 Instead, with enormous arrogance, Canada handed down a veto, to the great joy of the many asbestos lobbyists from Canada, Kazakhstan and elsewhere who were working at the UN conference to defeat the listing of chrysotile asbestos. The African countries, in particular, were outraged by Canada’s conduct. They tabled a statement, registering their “extreme disappointment in the manner in which Canada has acted” and criticizing the eleventh hour action by Canada, which destroyed the progress that had been achieved. The Africa Group called on Canada to disclose the reasons for its opposition to listing chrysotile asbestos, so that the parties could assist Canada to find a solution that would allow the objectives of the Convention to be met. Sadly, due to Canada’s recalcitrance, it was impossible to achieve a successful outcome. Once Canada had blocked the listing, the asbestos lobbyists quickly got Kazakhstan, Kyrgyzstan, Ukraine and Vietnam to stand behind Canada. History will judge Canada severely for being the vehicle by which the asbestos industry succeeded once again in sabotaging the basic health protections provided by the Rotterdam Convention. A few days after the Rotterdam Convention Conference ended, the asbestos industry was facing trouble in Canada. The Quebec government had set a deadline of July 1 for a consortium of foreign investors to come up with their $25 million in order to obtain a $58 million loan guarantee from the Quebec government to open up a new underground asbestos mine (the Jeffrey mine) in the town of Asbestos. The consortium had offered to buy Jeffrey Mine Inc. in November 2010, on condition that the Quebec government provide the $58 million loan guarantee. The government approved the loan guarantee, but the consortium nevertheless failed to meet the deadline. It appears that, in the face of unrelenting opposition by Quebec’s health authorities, growing opposition by Quebec’s trade union movement, new opposition by the Parti Québécois, which is the official opposition party, the consortium has lost some of its investors and is struggling to raise the necessary funds. The Quebec minister of Economic Development extended the deadline to August 15, saying that this is the consortium’s last chance. He expressed frustration at the ongoing delay by the consortium and, for the first time, expressed the willingness of the Quebec government to support alternative economic development for the region, if the consortium fails to meet the new deadline. The only operating asbestos mine in Quebec, run by LAB Chrysotile Inc. at Thetford Mines, has also been facing dramatic challenges for some time. Since 2009 there have been landslides, road collapse and road closure, due to poor environmental practices by the mine. According to documents obtained under Access to Information by Ken Rubin, the asbestos deposit of the mine will be exhausted by 2012. The company announced in April this year that fifty of its 350 workers would be laid off permanently. These are tumultuous times for the Quebec asbestos industry. In spite of the political support of Premier Charest and Prime Minister Harper, it is possible that the dying, bankrupt and deadly asbestos industry will, after a century of operation, finally shut down in Quebec. The global asbestos industry would then lose its most effective propagandist and the chances of winning the public health fight to stop asbestos use everywhere in the world will be increased. Kathleen Ruff, senior human rights adviser, Rideau Institute, and author of Exporting Harm: How Canada markets asbestos to the developing world. What exactly IS green chemistry?